What do you think about Albania and Kosovo ? What do you think about Albania and Kosovo?Give your opinion. Re: What do you think about Albania and Kosovo ? Thanks Arla for telling some of the Albanian history. 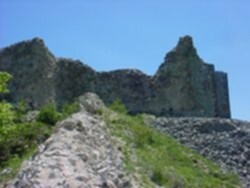 I know that Albania has a great history through ancient time. There are lots of things to see in Albania too and you are all the best once to share what is worth seeing in Albania with us non-albanian's. Going through the mountains in Albania is quit an experience with some beautiful areas as well along the coast line of Durrës. Through Tirana, there are lots of things to see. Albania, beautiful contry with few cultural values and historical. This is only kategori English? Here we only entered the English language. Please share some of the good things about ALBANIA and KOSOVA here with all of us. What are there to see, to do and everything else. Kosovo is a "de-facto" independent country in South Eastern Europe. After a lengthy and often violent dispute with Serbia, Kosovo declared independence in February 2008 despite heavy Serbian opposition. Kosovo is largely an Albanian speaking and Muslim area, but there are also significant numbers of minorities living within its borders, especially Serbs. Kosovo borders Albania to the west, Montenegro to the northwest, Macedonia to the south, and Serbia to the northeast. The population of Kosovo is about 92 percent Albanian, who use the name Kosova exclusively. Many people in Kosovo can speak English; they are more than willing to help you and tell you their stories. You, as the outsider, will get to hear both sides. Seeing the UN and the international community in action (or lack thereof) is quite interesting. speaking to people in a post conflict environment is an eye opener that tends to cause a person to stop thinking of people in countries of civil conflict as simply nuts. The Kosovars tend to be very friendly towards the USA, for its support of their independence. (ie: they have "Bill Clinton Boulevard" in Prishtina, as well as a large picture mural of him on the side of a building). They also are very friendly to Western European countries. Citizens of countries such as Albania, Australia, Canada, EU, Lebanon, South Africa, and Turkey do not need a visa but if you are planning to stay in Kosovo for more than 90 days you MUST register at the Police Department for the Registration of Foreigners, which is next to the central police station. Citizens of other countries that have significantly contributed the the rebuilding of the Kosovo probably also do not need visas either, although Kosovo is starting to implement a stricter visa regime. N.B. The 90 day rule for the registration of foreigners applies to everybody. You can enter Kosovo through the northern border with Serbia through Kosovska Mitrovica or near Pristina. There are bus connections from Belgrade and Nis to Pristina and Prizren and from all the major towns in Serbia to the northern parts. Most used transport route is through Macedonia and Prishtina airport. Skopje is only one and a half hours from the capital city of Kosovo, Pristina. Travelling from Pristina to any other city of Kosovo does not take longer than an hour and a half. For instance, from Pristina to Prizren it takes an hour and a half, if there is no traffic, but the most it can take is two hours. The distance to Peja is also similar. Several European Airlines have started to offer direct flights from their hubs to the International Airport of Pristina, e.g. SAS Scandinavian Airlines, SWISS, Belle Air, Croatia Airlines, Air Berlin and Austrian Airlines. During the summer several additional charter flights are available for travellers. From Montenegro you can enter through Rozaje to Peja/Pec(approximately 2.0 hours). There is a border crossing in the Presevo Valley in Serbia. From Albania you can enter through Prizren, although supposedly the Tirana-Prizren bus ride along the mountain road can cause the faint-hearted to move on to the next life. There are also trains crossing the Kosovo border. Two daily services connects Kraljevo in Serbia with all towns on the Leshak - Fushë Kosovë (Kosovo Polje), connections from Beograd are possible but includes a long stay between train at Kraljevo, thus bringing the journey to more than 12 hours for 399 km. Since March 1, 2006 an identical service, twice daily, runs from Skopje in Macedonia to Prishtina in Kosovo. It is hard to gets timings for these trains. Trains are very slow and convey second class only, but they give the opportunity to see a lot of the country and are a good value at approximately €4 each way. To enter Kosovo, the validity and acceptance of the International Motor Insurance Card is in doubt. Some sources say that you will need to purchase insurance liability at the border for 50€ before the border guards will allow you to enter. Travellers report that as of December 2008 this so called Green Card was accepted by border police and customs. Ensure also that you have your Vehicle Registration and a Power of Attorney from the owner if the car is not yours. Accommodation in Kosovo can be expensive, meaning it is probably the same as hotels in surrounding countries (starts at 25 EUR and goes over 100 EUR) and primarily is designed for people working for the development agencies. Your best bet on finding a place to stay is outside of Prishtina (if you're with the car) and to have a contact there ahead of time (even if its just somebody you met over the internet) and stay with them. Or possibly contact some of the smaller development organisations, such as Balkan Sunflowers, and ask if they can help you with accommodation staying in a rural community. But in the otherside if you plan not to sleep, go at the bars (i.e. Hard Rock Bar - close to KEK- Energy Enterprise, you have a good prices and of course the best rock music in town, considering the elite people in there, such as musicians, actors, etc. Other places to visit are Strip Depo, close to the ABC Cinema, Kafja e Vogel(Small Cafe) close to OSCE. Kosovo youngsters, as in other Balkan countries, are largely cafe going culture, so you will find these places full any day during week. Reception Room, located opposite to Skenderbeg monument, seems to be a popular night club for 2007. Skopje in Macedonia has some very cheap accommodation so doing day trips to Kosovo from there is very much a possibility. Avoid making comments about politics in Kosovo, although ask as many questions (within reason) as you like. They are very open about their hatred of each other and more than willing to tell you about it. Also, with Kosovo's declaration of independence, things could heat up again. Again, stay on top of the news before going. The Serbs are a very hospitable people and very friendly. The most likely encounter starts with them saying your country (if you are American or British) bombed them. Their next action will most likely be inviting you into their home to drink 'rakija' with them and offering you way too much food, end of discussion of politics. Though that is the most likely encounter, occasionally you will meet somebody who may not be as hospitable. Be smart, and if the discussion gets a bit intense don't verbally resist and get in an argument about the war, agree with them where you can and downplay your country (as truthfully or untruthfully as you feel you can do). Like much of the Balkans, land mines were heavily used during the Yugoslav civil war. Stay on the pavement, if you go off the pavement stay on well worn paths. Wandering off of trails can be dangerous. On the other hand don't let this minor problem make you not visit Kosovo. So long as you don't go wandering around in the bushes where clearly no-one else goes, it poses no hazard to you. In other words do not be an **'''''' and say I want to hike through that forest!!! There are direct flights from Priština International Airport to London, New York City, Zurich, Geneva, Gothenburg, Copenhagen, Vienna, Zagreb, Hamburg, Hannover, Dusseldorf, Berlin, Frankfurt, Munich, Stuttgart, Bremen, Rome, Milan, Verona, Ljubljana, Budapest, Tirana, Istanbul and Antalya. Soon, there will be direct flights to Sarajevo and other destinations. Cold Water begins in Vlora and continues with some minor interruptions to the Stillos bay. Intesitetin characterized by large abrasive because of the deep sea is the river spills missing. As a result, waves can arijnë a height more than 4 m. by slamming hard with rocky shores. In this way they break form the different fracture (Cold water, etc.) and the cracks are usually vertical, that arijnë altitudes 100 m. Ionian coast you'll discover a few small beaches gjire comfortable enough for sun bath and often even intimate. It can get along great tectonic gjire such as Vlora bay, Porto Palermo, etc. Saranda Bay. Gjiret beaches and offer greater opportunities for diving, rowing, fishing etc..
Albanian Riviera Coast is characterized by high temperatures. Consequently subtropical fruit crops and find conditions favorable for adults. Riviera is one of the rare natural beauties of Albania and one of the most picturesque in the Mediterranean, with a high tourism potential, which in recent years has begun to develop and widely used. Albania Prezanca the seas, lakes, lagoons, rivers, delta, etc.. shows the different kinds of water tourism. Typical Mediterranean climate creates ideal conditions for vacation in the river delta and the Albanian coast in general. In most parts of the coast, mainly in the south, vacationers can start their vacation starting from late April until October. Albanian coast being inhabited since ancient times, is an opportunity to learn the Albanian history, culture and their special. Interest in antiquity and cultural resources of Albania are mainly related to two aspects, the very ancient culture and its history as one of the oldest countries of Europe, also thanks to its development between east and west boundaries. Beauty and its geographical position, make Albania offer much more, first shown to all visitors and tourists who come and visit this area, not only providing for sea and sun vacation but also an entire historical inheritance cultural, natural, etc.. There are many historical facts, cultural and archaeological objects with enough value to be visited, and which are trace evidence of a population living in wind Paleolithic period. In important cities of antiquity flourished precisely along the Illyrian coast. Even during the Middle Ages some coastal cities are known for their development by offering a rich cultural heritage, which is materialized in the numerous cultural monuments, which may be encountered in all the Albanian coast. The albanian tourism, the sand and sun one, is uncompetitive in the Balkans region as regards to the massive tourism, and to the note-case weight as well. To the impassioned after elite toourism the magazine would offer rare geographical destinacions in Ksamili islands or Kraburuni beaches, and historical such as Vasiliqi castle in Pashaliman, or the one of Vivari in Butrint. Is this called patriotic tourism? More than that: economical tourism. Albania is in the heart of the Mediterranean, on the Adriatic and Ionian Seas, Albania is fast becoming one of the world’s most interesting getaways. Still relatively unspoiled by globalization, tourists will notice an inspiring mixture of civilizations and cultures - making this European country truly unique. Albanian history and culture is fascinating. Butrint, one of the world’s archeological wonders - and a UNESCO World Heritage site - in the south of Albania provides a glimpse of Mediterranean civilization from the Bronze Age through the Greek, Roman, Byzantine, Venetian and Ottoman periods - all atop a cliff overlooking Corfu. It’s not to be missed! 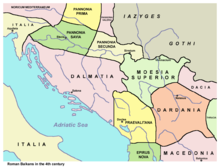 In antiquity, the Kosovo region in the Balkans was known as Dardania and from the 1st century AD it formed part of the Roman province of Moesia. From c.700 to 1455, it became part of the Bulgarian Empire, the Byzantine Empire and then the Serbian medieval states, notably Raška (Serbian Cyrillic: Рашка). It was then conquered by the Ottoman Empire. The Ottoman Kosovo Vilayet dates to 1875, with borders significantly different from today's Kosovo. Then, in 1912, it was incorporated into Serbia and, in 1918, with Serbia it became part of Yugoslavia. Kosovo gained autonomy in 1963 under Titos' direction and, in 2006 with the breakup of Serbia & Montenegro, it became part of the republic of Serbia. During the Neolithic Period, Kosovo lay within the areal of the Vinča-Turdaş culture which is characterised by West Balkan black and grey pottery. The Bronze Age begins c. 1900 BC, and the Iron Age begins c. 1300 BC. Bronze and Iron Age tombs have been found only in Metohija, and not in Kosovo. The region of Illyria was conquered by Rome in 168 BC, and made into the Roman province of Illyricum in 59 BC. The Kosovo region probably became part of Moesia Superior in AD 87, althogh archaeological evidence suggests that it may have been divided between Dalmatia and Moesia. Justinian I, who assumed the throne of the Byzantine Empire in 527, oversaw a period of Byzantine expansion into former Roman territories, and re-absorbed the area of Kosovo into the empire. Historians consider him to be the last Roman emperor because his native tongue was Latin and he was the last emperor to attempt reuniting the Latin-speaking West with the East. The area was finally absorbed into the Byzantine empire in the 850s. after a lot of words lets see a video about albania! !